There are so many different artificial sweeteners out there, but one of the most controversial sweeteners is the artificial sweetener aspartame. Aspartame was approved by the FDA in 1974 however many people were concerned about the sweetener and challenged the validity of the tests that were done. Learn more about Aspartame side effects. Even today people are weary about aspartame and report side effects that were caused by the sweetener. Aspartame is made from a combination of two amino acids, is sweeter than sucrose, and is labeled as having zero calories per serving. The serving sizes are smaller than most because of how sweet it is. The side effects of aspartame should be easier to look up because it has been evaluated about 26 times and it is approved for use in more than 100 nations. Unlike the Stevia side effects, which are harder to track down because there have been less tests performed, aspartame has the side effects laid out pretty clearly. 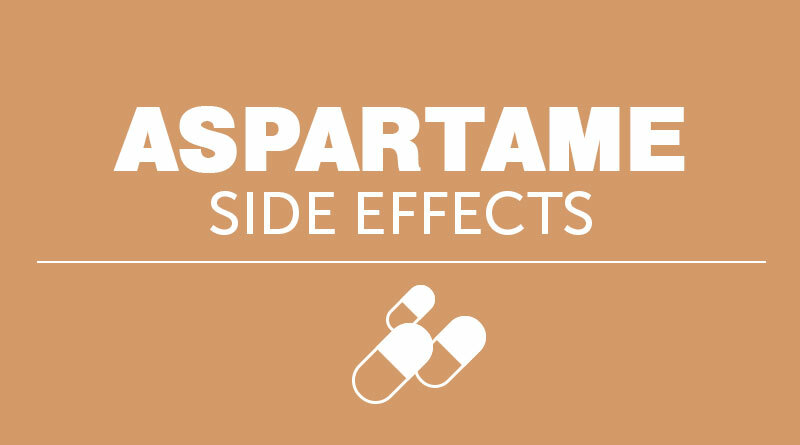 The only problem with aspartame is that it is a controversial sweetener so there are many sites that report extremely dangerous side effects that come from consuming aspartame. So, here are a few of the side effects that have actually been recorded and some of the side effect myths that are reported about aspartame. Apparently one of the more common myths is that aspartame is a cause of cancer. Studies have been done and there is no evidence that supports this myth. After looking into the actual aspartame side effects, it was concluded by the FDA that aspartame was safe to eat in normal amounts. The aspartame sweetener can be found in some of the things we eat daily like; chewing gum, breath mints, soft drinks, cereals, frozen ice, frozen ice cream, flavored waters, fruit spreads, hard candies, instant cocoa mixes and more. Because the sweetener aspartame is found in so many foods and so readily available it is hard to imagine it causing seriously dangerous side effects. There are now somewhere over 6,000 food and drink products that are made using aspartame as the sweetener. However, because there have been so many reports of dangerous side effects being caused by aspartame you may want to research more before using this sweetener.